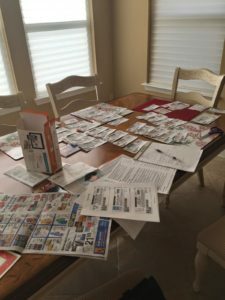 We’ve all seen the episodes of the “extreme couponing” shows. People who dedicate their lives to getting 70 lifetimes worth of toilet paper for $0.56. Homes that make you question whether you are watching an episode of Hoarders – The Organized Series OR Doomsday Preppers when the cameras pan the basement ‘storerooms’ of these extreme couponers. 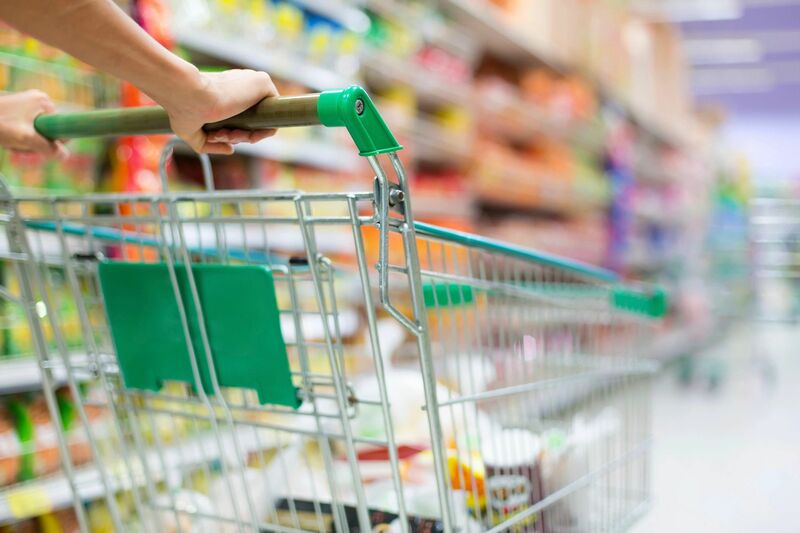 So let’s get started…to save some money on GROCERIES! 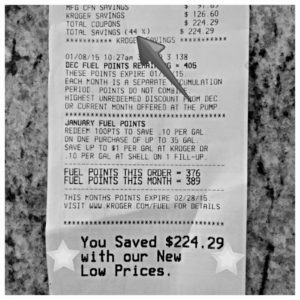 Clip Coupons — I use both electronic and hard copy coupons. First, I’ll clip coupons from the Sunday paper as well as ones that come in the mail weekly (RedPlum & Smart Source). Then I get online. I add digital coupons to my Kroger card electronically. (If you haven’t done this before, visit the Kroger website and do it immediately!!!) Make sure to print out your list of digital coupons as you will need this in a few steps! Last, I visit coupons.com. You can print coupons from this website for tons of your favorite products. Organize Coupons — For organizing, everyone has their own system. I prefer to keep my coupons in a 6-pocket expanding file. I have my coupons in the following categories: Baby, Personal (makeup, toiletries, etc. ), Home (cleaning products, paper products, etc. ), Fridge, Freezer, Pantry. First, I throw out any coupons that have expired, then I file my new coupons. 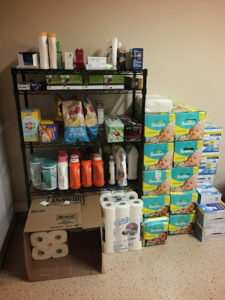 Review Weekly Ads — I could go all over town to the tons of grocery and drug stores we have attempting to get the few best deals from each location, but with a 6-month old, going to one store is challenge enough. I tend to do the majority of my grocery shopping at Kroger and then may grab a few things from Target. I’m sure I’m losing a bit of money with this approach, but I’m keeping my sanity. When I review the ads, I tend to circle the best sales, especially the “loss leaders” (definition: the few items that are on super sale and are designed to get you into the store, typically highlighted on the front page of the ad). Over time, you will become more familiar with what really is a good sale. Note: Just because it is in the ad, doesn’t mean it is that great of a deal (Example: A great price for asparagus is between $0.99 – $1.99/lb, but $2.99/lb will still be advertised as a sale because regular price is about $3.99/lb.) I also visit The Krazy Coupon Lady. She reviews weekly ads from all across the country and highlights to you the best prices you can get combining sales and recent coupons!! Meal Plan — What we eat each week is completely based on what is on sale that week (or what I was able to freeze when it was on sale!) This is your time to be creative – try new recipes, make ingredient swaps, try a new product! Just don’t pay full price for salmon just because you were craving it! NOW, Make Grocery List — The order of this step was the greatest change I’ve made. We used to have a running list of things we needed to replace that automatically became the grocery list and then we added on whatever we wanted to eat that week. Now those replacement products make their way onto the grocery list as they are on sale and coupons are available. Does this mean we might go without potato chips for a week…yes, but I think we could all benefit from a few weeks without chips 🙂 On the grocery list, I also note the sale price from the ad, plus the coupon I have (both hard copy and digital). This ensures 1) that I buy the correct quantity to fit the sale/coupon and 2) allows me to compare sale brand with store brand price (Note: store brand sometimes is still cheaper even with sale/coupon). SHOP!!! I always have my coupons for items on my list pulled out of the folder and paper clipped to my grocery list, but still bring along my folder (just in case I forgot something!). If I’m at Target, before I put something in my cart, I check my Cartwheel app for a coupon. The whole process (excluding shopping) outlined above generally takes me about 2-hours a week, though the first few times I spent probably 6 hours prepping. As you become more experienced and organized, you’ll become more efficient…and for $200+ savings, I’d say that is time well spent! Just because you have a coupon, does not mean you should buy something! Grocery stores cycle sales. To make the most of your coupon, you want to WAIT to match-up items that are ALSO on sale that week to get maximum savings. Only clip coupons for products you actually use. You are not saving money when you buy things you do not need, even if they are on sale! And, holding onto a bunch of coupons that are useless to you will only junk up your useful coupons. Stock up when something is on sale, but within reason! No one needs 15 bottles of laundry detergent. As mentioned earlier, the stores cycle sales. I find any more than a three month supply is a waste. When my stock starts getting a little low, I start watching for the next sale to restock.